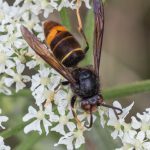 Please make sure you are aware of the key features of an Asian Hornet … and that you are familiar with the procedure for reporting a sighting. 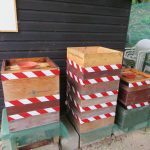 There is plenty of good information available to keep all beekeepers informed and up to date with the latest news. Following recent Asian Hornet Awareness Raising Workshops WDBKA have a number of monitoring traps available. 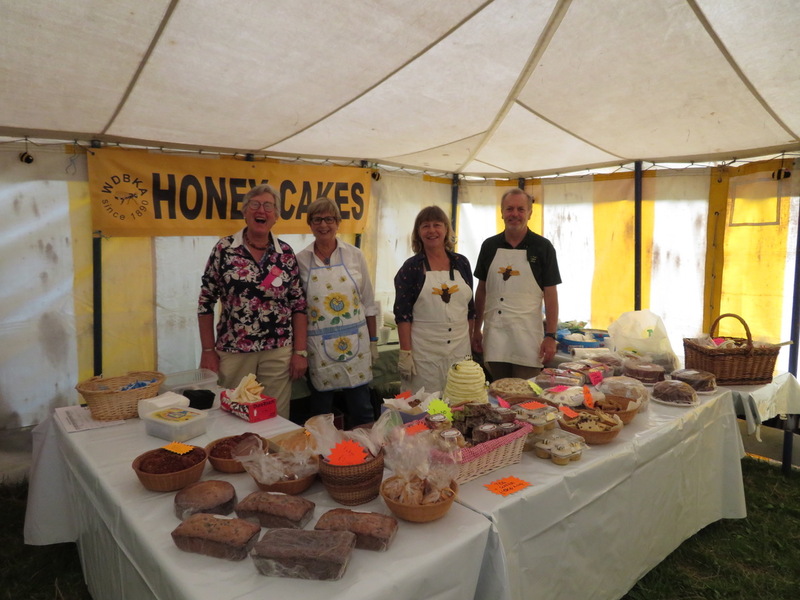 Please contact Carole Brown, secretary@westdorsetbees.org.uk for further details. 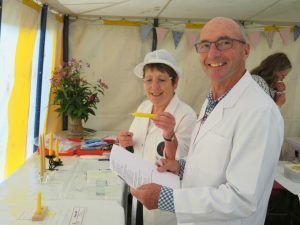 Click here for a link to the latest article in the Bridport News. Click here for a link to the BBKA Asian Hornet page. 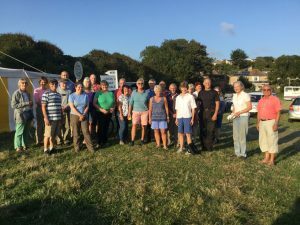 Click here for Dorset BKA information. 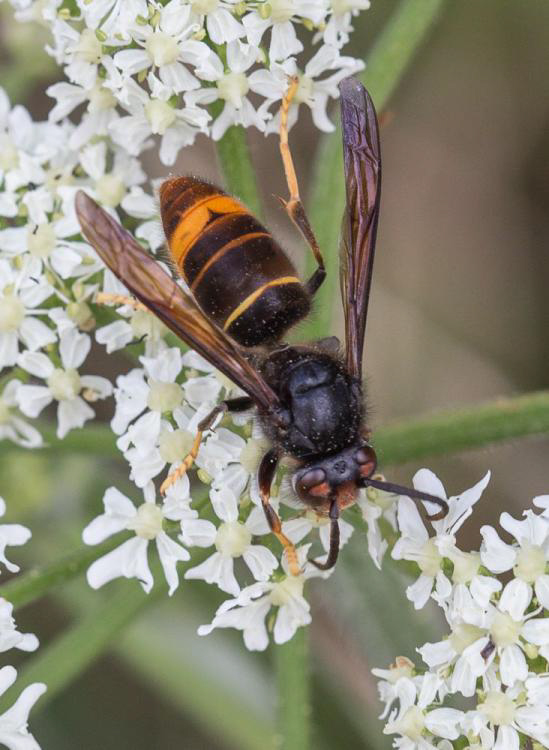 Click here for a link to the national Asian Hornet Action Team site which contains a large amount of relevant information. 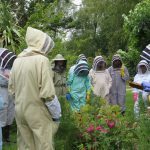 The news feed from the National Bee Unit can be found on the left hand side of this page. 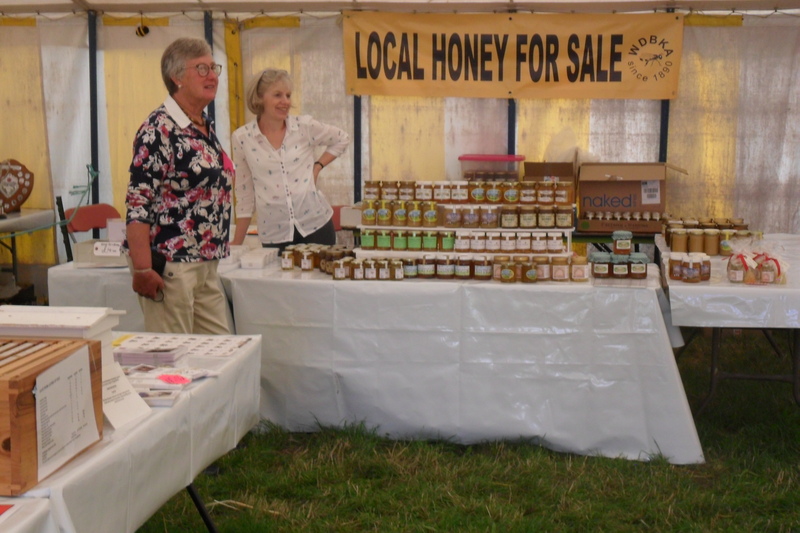 The site is designed to be a resource for members of the West Dorset Beekeepers’ Association (WDBKA) and for interested members of the general public. What to do if you have a swarm of bees turn up in your garden? DON’T Panic! Find out more, and where to get help, by clicking on the “swarms” tab above. 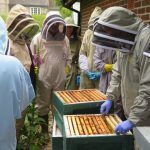 Thinking about starting to keep bees?… again, contact us and we should be able to help, guide and support you in this exciting new venture. 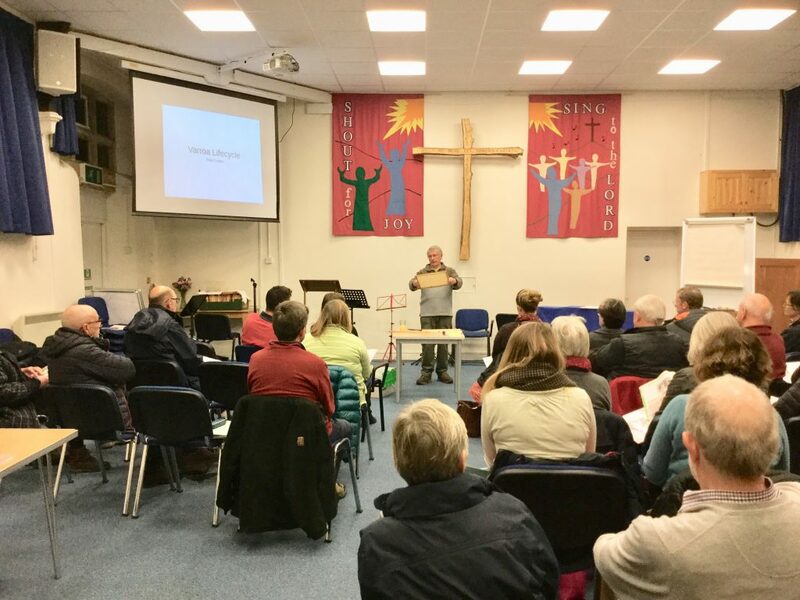 We usually run our popular course for beginners, which starts in early February, based at the Christian Fellowship Hall, Bridport 7-9.30pm for seven consecutive weeks. 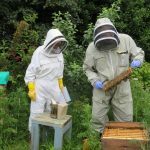 This is followed by three practical sessions in our own teaching apiary, where you can gain some experience in handling bees yourself, even before you acquire your own. 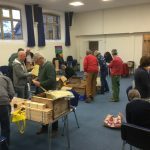 The apiary meetings for beginners run fortnightly on Saturday afternoons in April and May. Cost £75, including a non-refundable £10 deposit. Numbers are limited to 25. The next course is now full but please let us know if you are interested … we have started a waiting list. It’s always a good idea to register your details. 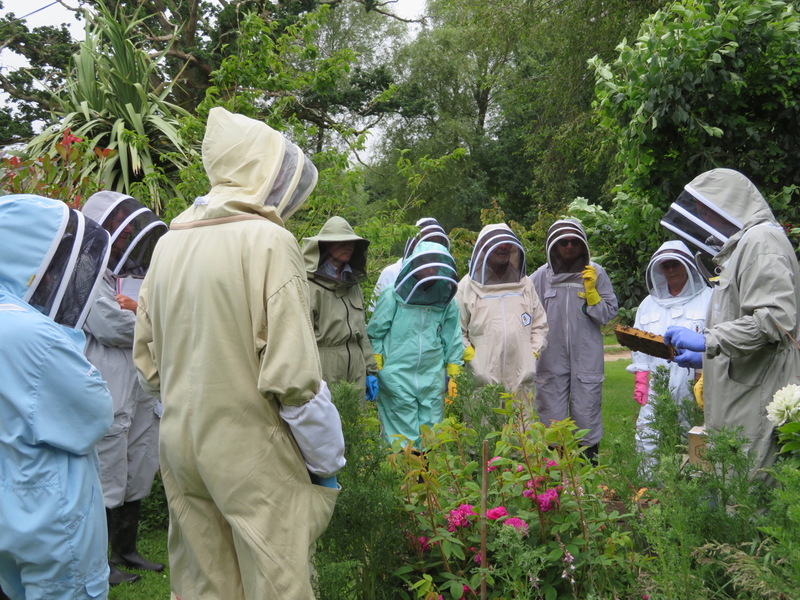 The WDBKA is affiliated to the BBKA – British Beekeeping Association. Their website provides a wealth of information and advice. All members of WDBKA will have been issued with a membership card for the BBKA which includes login details and a password to gain full access to the BBKA site. All beekeepers are encouraged to register with BeeBase, the Fera National Bee Unit website. 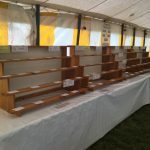 It is designed for beekeepers and supports Defra, WAG and Scotland’s Bee Health Programmes and the Healthy Bees Plan, which set out to protect and sustain our valuable national bee stocks.Their website provides a wide range of free information for beekeepers, to help keep their honey bees healthy and productive. 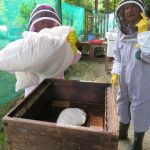 If you’ve read or heard about the pressures facing the honeybee – diseases, parasites, and so on – and would like to know what you can do to help, click here to download a list of Ten Things to do to Help Honey Bees. There’s guidance on everything from planting bee-friendly plants, through offering a home for a hive or two, to lobbying your MP to press for more support for research! If you’re interested in helping by planting bee-friendly trees, flowers or shrubs, click here to visit the comprehensive list published by the Royal Horticultural Society. We were fortunate to have a burst of sunshine to accompany Kevin Pope, SBI, as he visited the WDBKA Apiary to carry out a full inspection. Students from our Beginners’ Course were able to observe the process and paid close attention to Kevin and his running commentary. 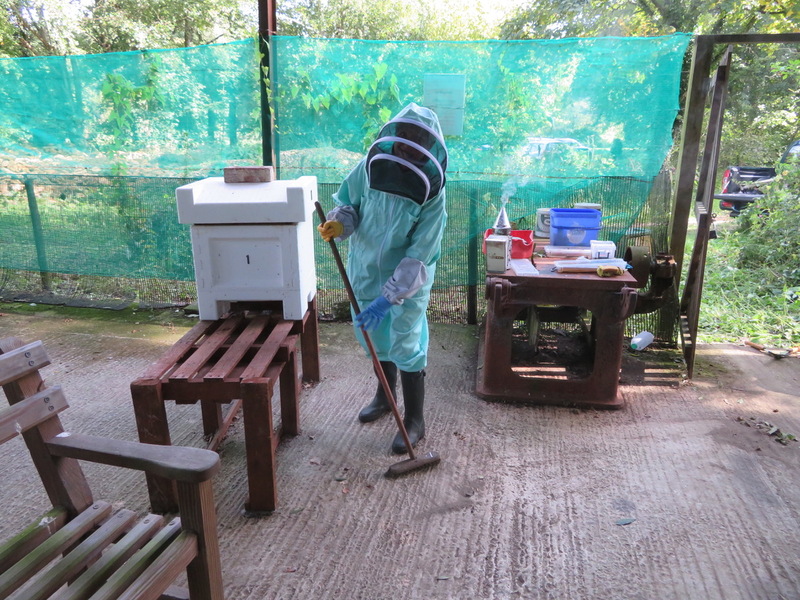 By the end of the morning we were pleased that all four hives had been given a clean bill of health. Please click on the ‘Apiary’ tab at the top of the page to follow a record of the colonies as the season progresses. 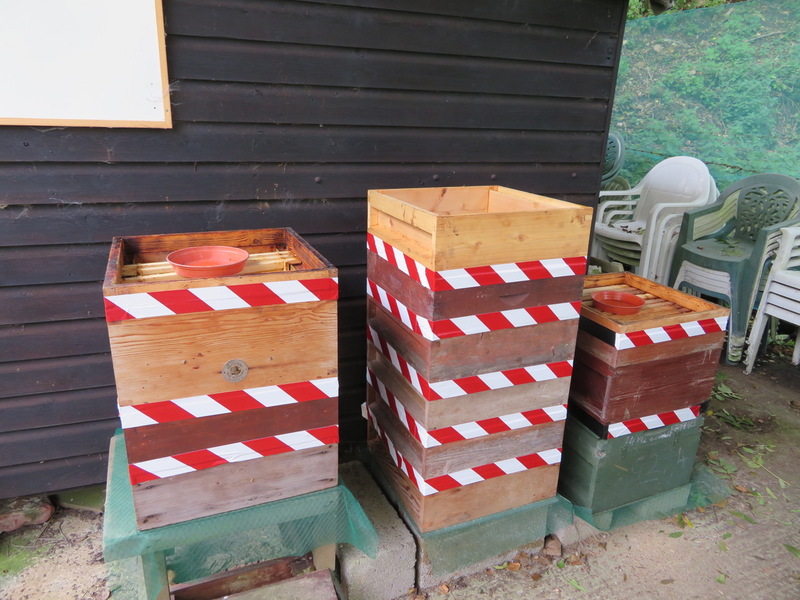 This year the Apiary Management Committee have decided to trial a variety of hive configurations. It will be interesting to compare the observed benefits and potential shortfalls of the different arrangements. 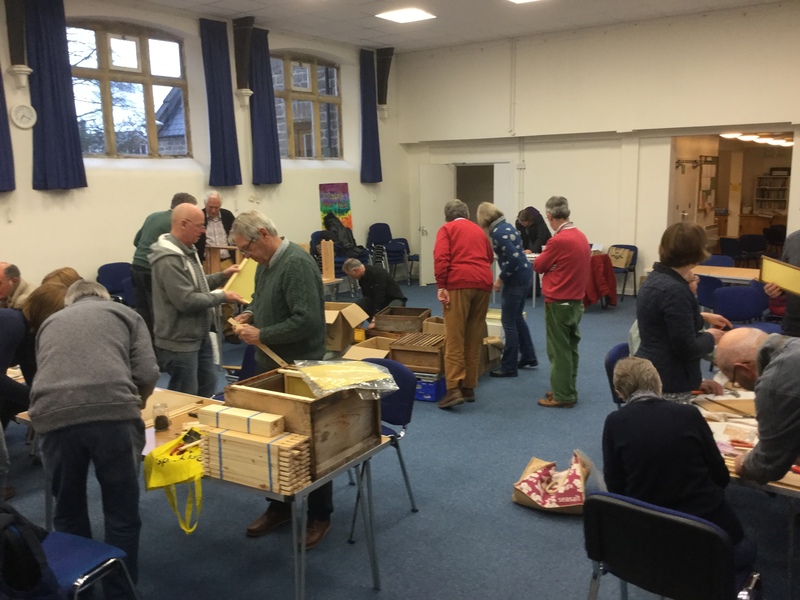 The WDBKA annual course for new Beekeepers is well underway. 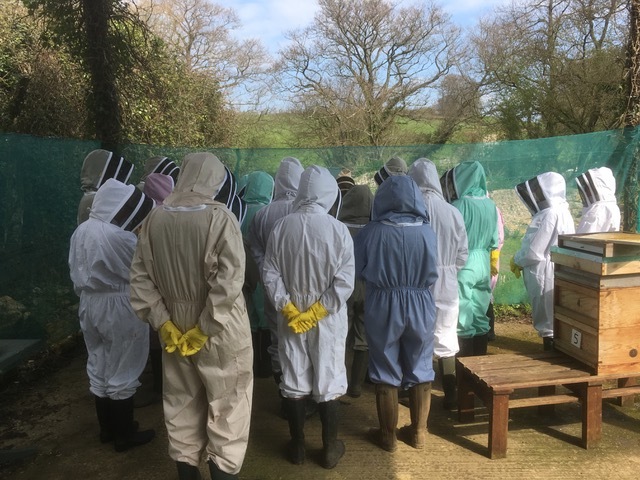 Our group of 25 keen students have completed the 7 week theory part of the programme and are currently enjoying visits to the Netherbury Apiary. In spite of the mixed weather we have been able to carry out the first two practical sessions. 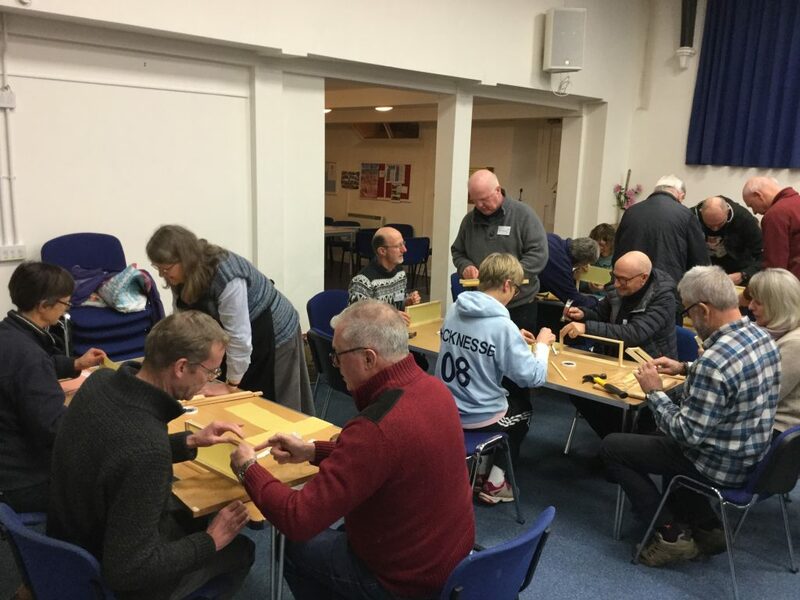 The course started at the end of January and a team of tutors drawn from the WDBKA Membership have delivered a varied, entertaining introduction to the craft. 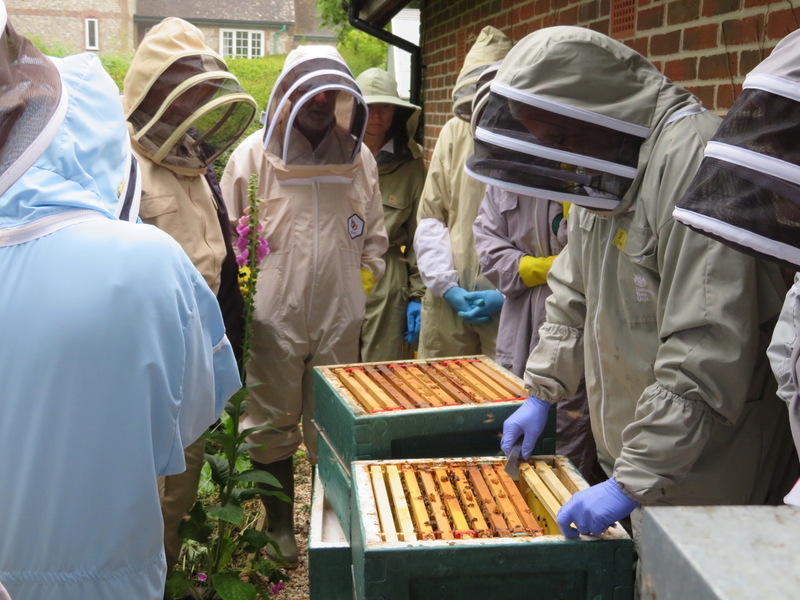 Students have completed a basic introduction to Beekeeping … they have made up frames, learnt to identify Varroa and built their knowledge from the regular weekly input. 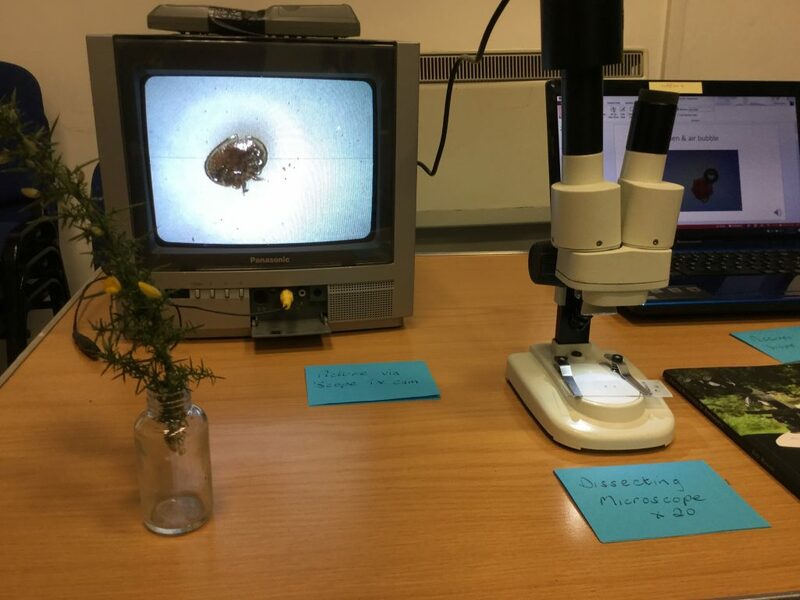 It’s important to identify Varroa mites! 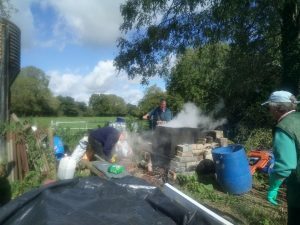 There was a lot of concentrated activity at the Netherbury Apiary at the final session of the season. Many thanks to those who turned up to clean, sort and tidy the Apiary. The supers were stacked and prepared for a treatment of acetic acid. This will destroy the spores of Chalkbrood, Nosema, and prevent any Wax Moth infestations. 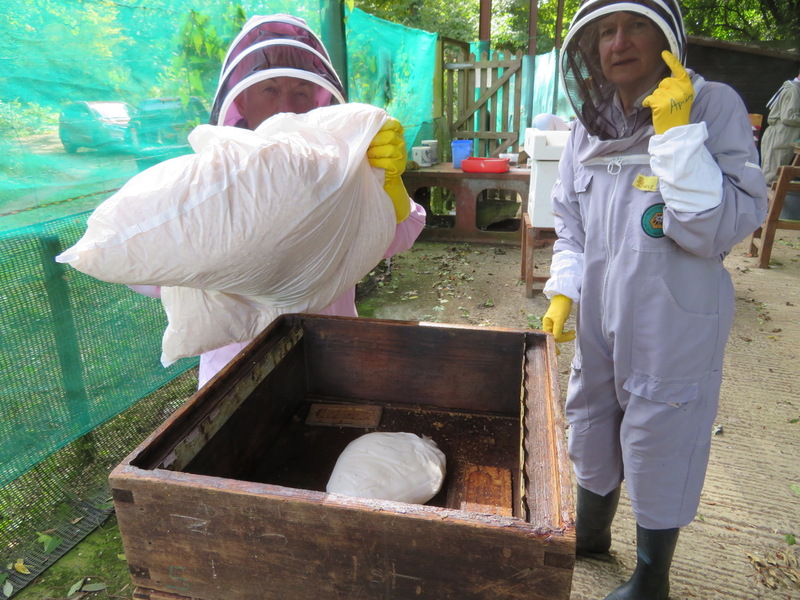 Fondant was added to each hive to supplement stores, and a bag of shavings was placed above the crownboard on the Nationals to keep the bees and their fondant warm. Thank you to the small team who spent a hot and steamy afternoon boiling up countless brood and super frames. It is good to know that so many people took advantage of the opportunity to sterilise their equipment … an essential part of good apiary management. A very wet morning gave way to a dry and bright afternoon. 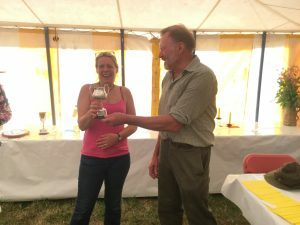 Thank you to everyone for helping to make the 2018 Melplash Show such a success. 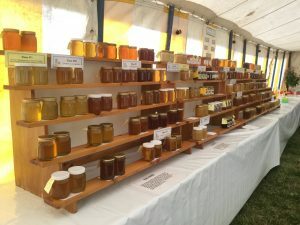 We had a lot of entries and as you can see an impressive display of honey was delivered for Suzette Perkins to judge. We were pleased to have Richard Norman, President of the Dorset Beekeepers Association, to present the prizes. 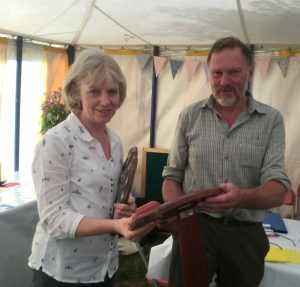 Congratulations to Carole Astbury for winning a number of trophies, including the Blue Ribbon of Merit for the best exhibit in the show. Her plate of matching heart shaped wax pieces was a work of art… and must have taken hours of work to prepare. Stephanie Rowse was awarded with the County Novice Trophy as well as the M R Wood Challenge Cup. 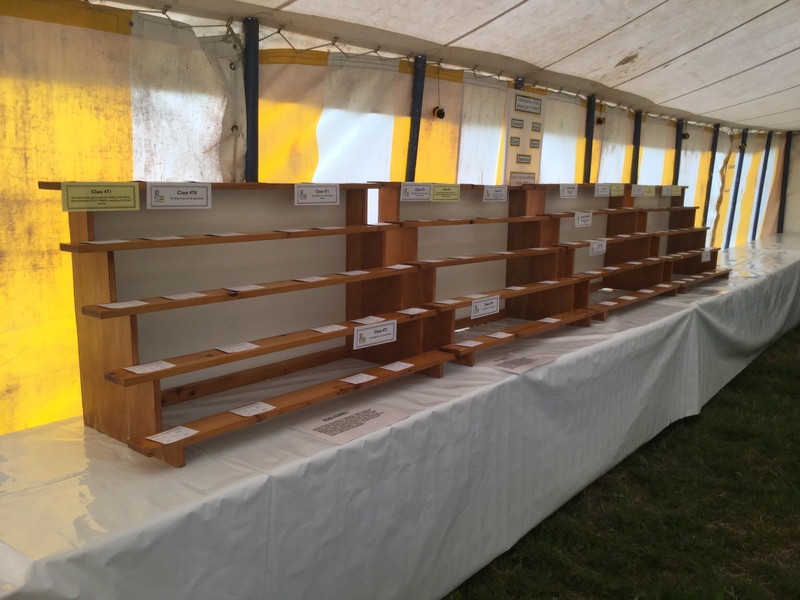 We were delighted that a frame ready for extraction from the WDBKA Apiary won its class … well done to all! 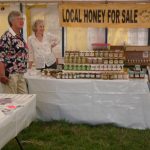 There was a constant flow of people through the marquee and a lot of interest in the observation hives and information table. 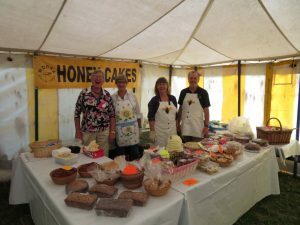 The Honey Cakes seemed as busy as ever and the Honey Sales table did a roaring trade. The Melplash Show is an excellent showcase for WDBKA… it’s a brilliant opportunity to share our knowledge and promote our love of bees and Beekeeping. Thank you for your support … see you all again next year! Many thanks to everyone who turned up this evening to prepare our marquee for the Melplash show on Thursday. We seem to have more space this year … it will soon be full of interesting bee-related activities and information. We look forward to seeing many friends … a great opportunity to catch up with everyone. 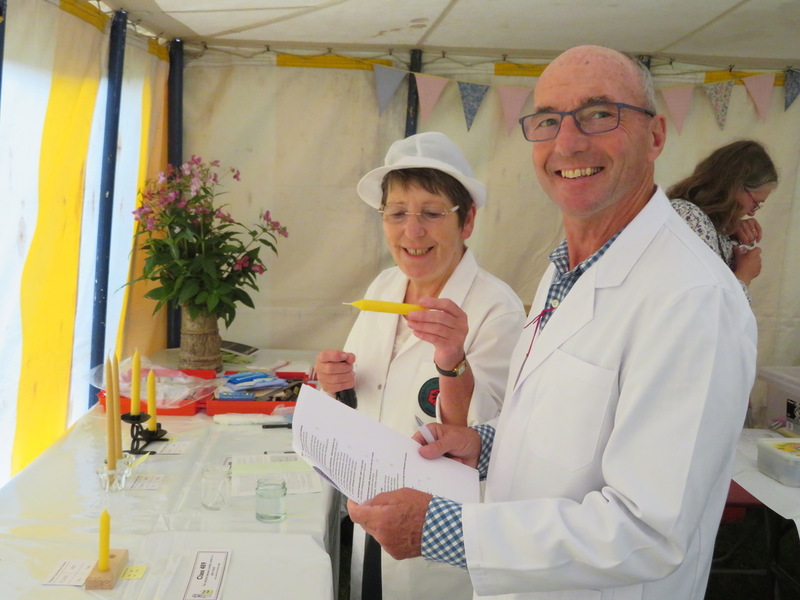 There are over 150 entries for Suzie Perkins, our honey judge, to consider. We hope there will be a wonderful display of hive produce. Remember to stage your exhibits before the judging starts at 8.30am. Stewards will be on hand to help. 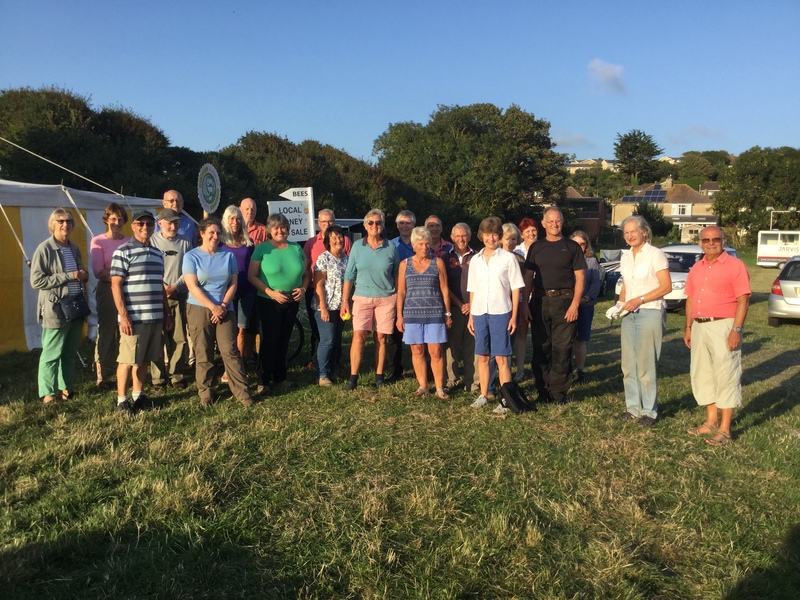 Members of WDBKA enjoyed a ‘grand day out’ as they ventured into the narrow lanes of West Dorset for their annual safari. 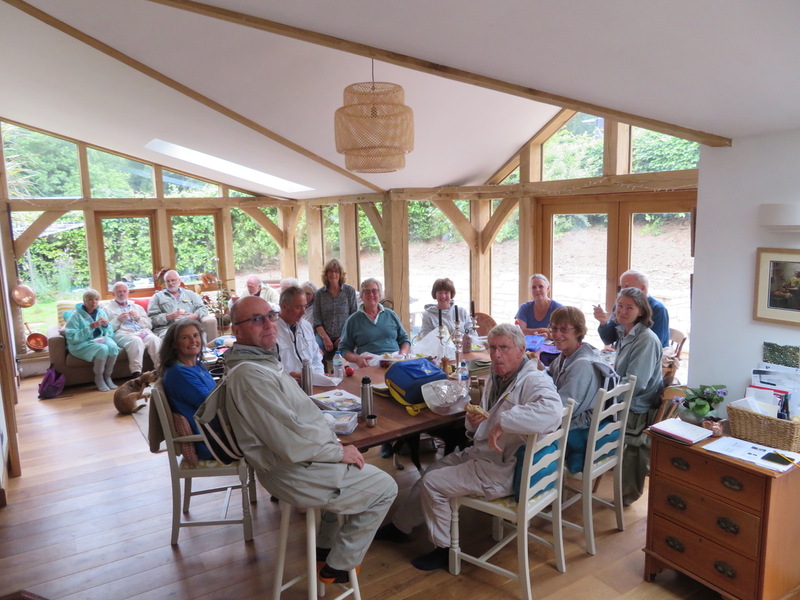 Many thanks to the three WDBKA members who kindly welcomed us to their lovely garden apiaries…. thank you for the refreshments … and the delicious cakes to round off the event. 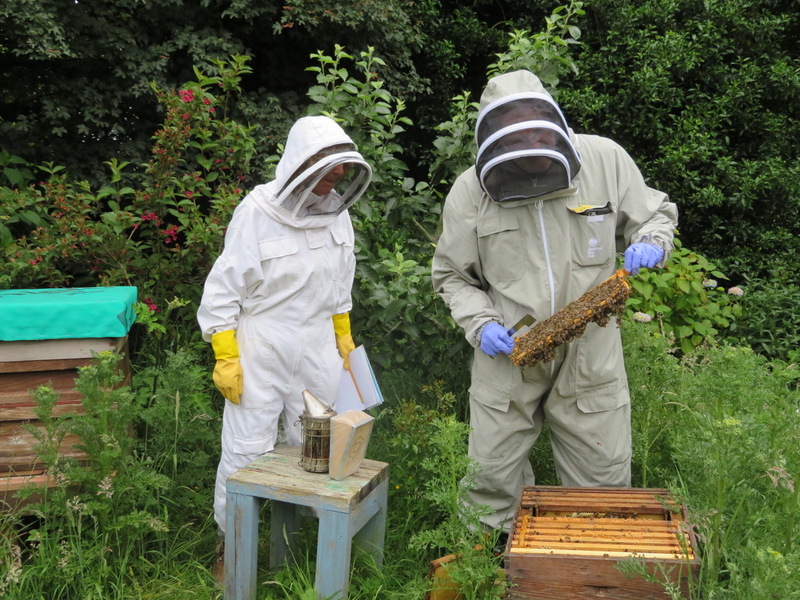 Thanks also to Kevin Pope, our Seasonal Bee Inspector, who demonstrated and inspected each of the hives. 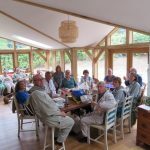 By the end of the day we all went home with new knowledge, enthusiasm and fresh ideas to further develop our understanding … hopefully making us better Beekeepers. What a brilliant hobby to share! 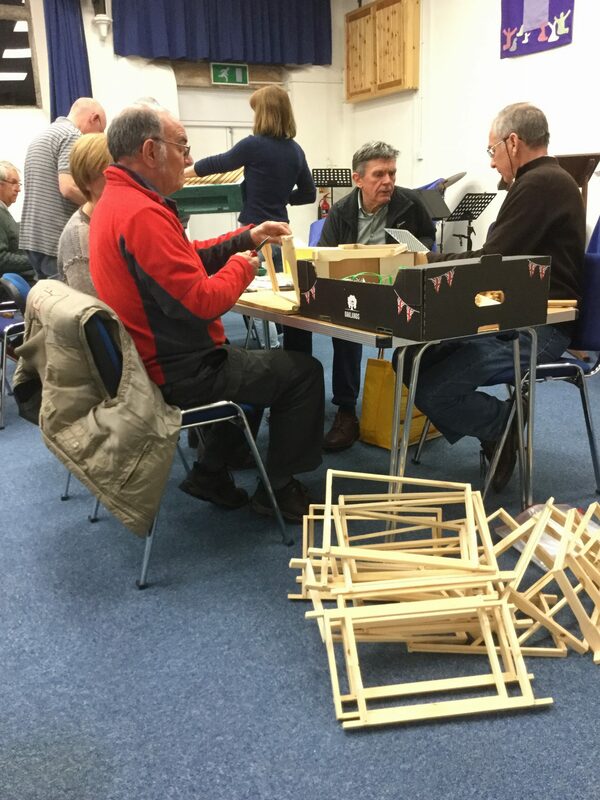 Thank you to everyone who came along to join our frame making evening … a brilliant way to get equipment prepared for the new season! 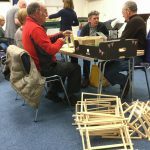 The fish and chip supper worked well and by the end of the evening we had a good stock of frames and supers ready for action. A number of WDBKA members attended the DBKA AGM on Sunday 8th April. Full details of the meeting will be available in due course. 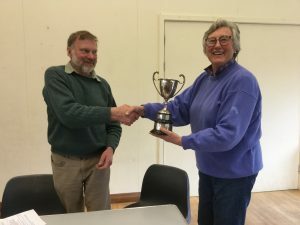 Carole was delighted to be able to accept the Hambro Cup which was presented to the Dorset Beekeepers Association by Capt A V Hambro JP. DL. when he was President from 1932-1955. The award is made to the Association that increased its membership the most during the previous year (they do it by percentage) We have not won this trophy since 2004.